Sydney Vivid Light Festival 2019 - 24th May - 15th June. 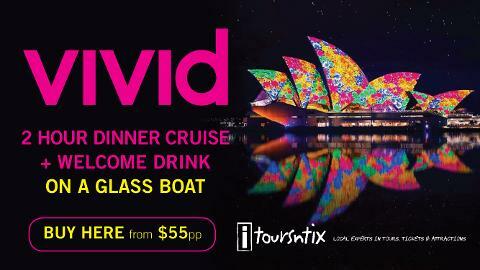 This combo combines the best experiences in Sydney during the Vivid festival, a Vivid Dinner Cruise and admission to your choice of 2 attractions. 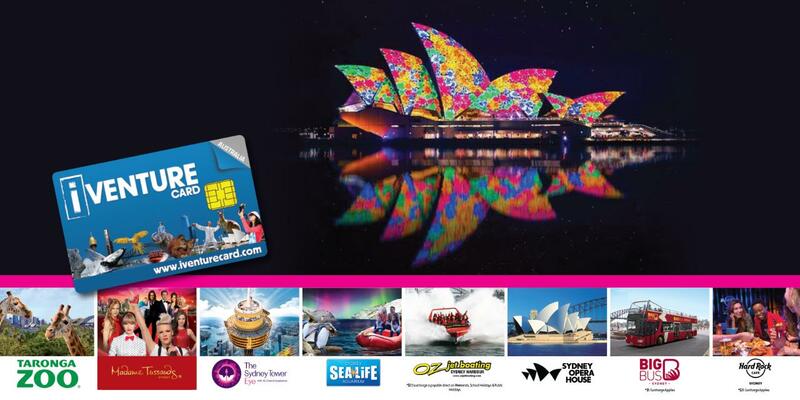 A 2-hour Vivid Cruise + entry to famous Taronga Zoo, immerse yourself at SEALife Sydney Aquarium, take a thrilling Jet Boat ride or see 360º views of Sydney City at Sydney Tower Eye. Experience this spectacular show of light from the spacious deck of a gorgeous glass vessel floating on glittering Sydney Harbour! Taking in Sydney’s bright lights, colourful insulations and illuminations from the Harbour on a 2 hour standing buffet dinner cruise.